Helps to improve skin elasticity. Helps to improve skin tonicity and firmness. Promotes healthier and younger looking skin. 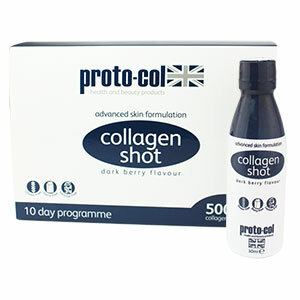 10 day supply = 1 bottle per day providing 5000mg of collagen. 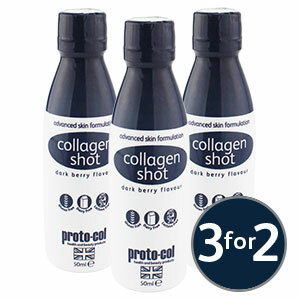 Hydrolysed collagen – collagen is the most abundant protein in the human body. We provide the highest concentrate 5000mg per 50ml bottle. Vitamin C – contributes to normal collagen formation for the normal function of cartilage and the normal function of skin. Biotin – contributes to the maintenance of normal skin and necessary to maintain energy and general vitality. Vitamin B6 – contributes to the reduction of tiredness and fatigue, the normal function of the immune system.